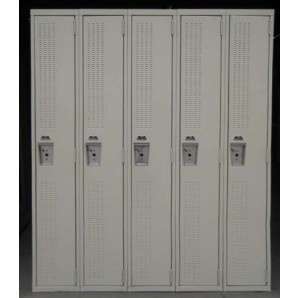 These Hall Lockers are available on www.buyusedlockers.com where they have a huge selection to choose from if we need additional supplies. 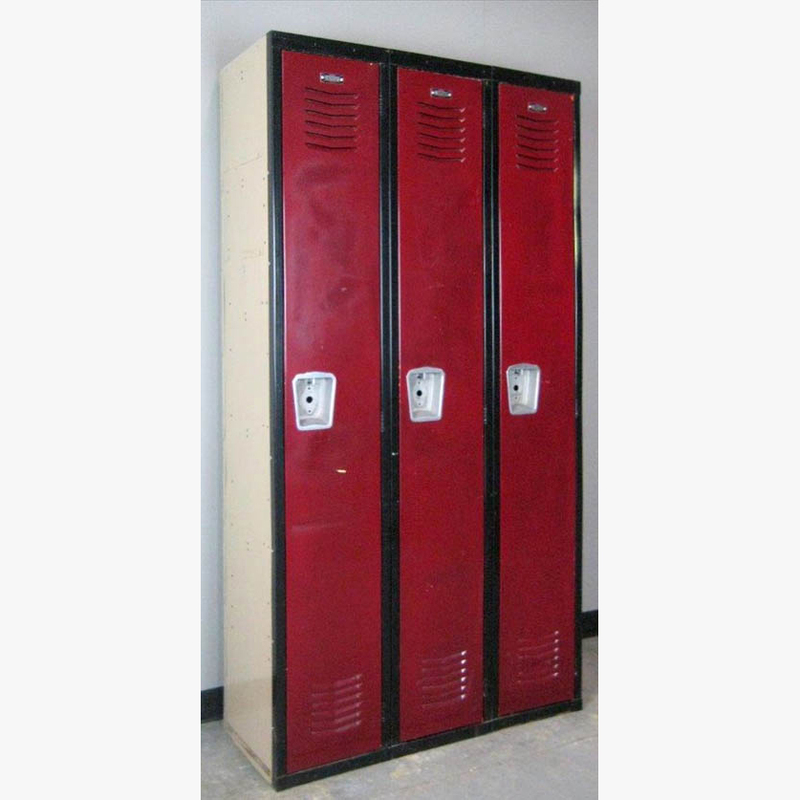 Single tier school hall lockers available that are 9” wide x 15” deep x 72” tall and in good working condition. 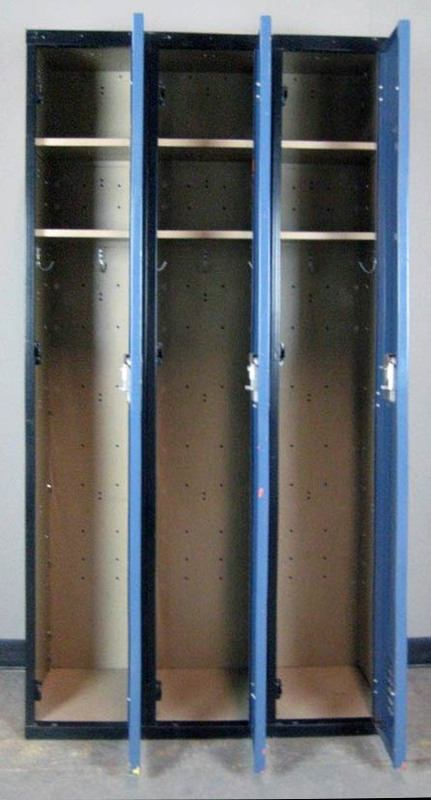 These unique two tone painted lockers have burgundy doors with black frames and include 2 shelves and coat hooks under the bottom shelf. 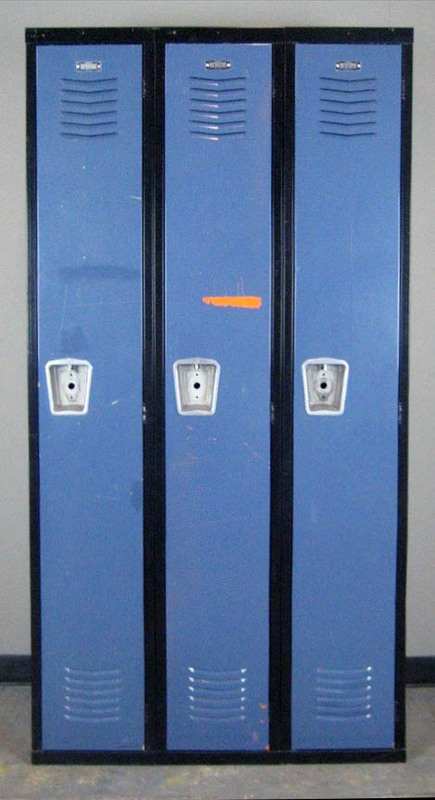 Although they are only 9” wide they still offer plenty of storage room for smaller items and take up less space than 12” wide lockers do.